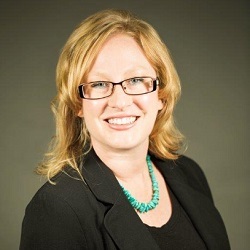 Dr. Lindsey A. Gibson is an associate professor of Organizational Change and Management at Hawaii Pacific University where she is also the faculty chair for the Masters of Organization Development and Change (MAODC) program. She received her Ph.D. in Business Administration with a concentration in Management from New Mexico State University. Her research is published in the Journal of Management Education, Organizational Development Journal, Management Teaching Review, Organization Management Journal, the popular academic books Deviant and Criminal Behavior in the Workplace and Technology and Workplace Skills for the Twenty-First Century. She has presented her research at U.S. based conferences and international conferences in China, Japan, and Poland. Dr. Gibson has published numerous conference proceedings papers and collaborates on research with colleagues around the globe. She teaches in both the MAODC and MBA programs at Hawaii Pacific University. My passion is teaching in higher education while simultaneously conducting research in academia. My research stream focuses on organizational behavior, influence tactics, and management education. These subject areas allow me to present cutting-edge research in my classroom. Teaching in the MAODC program at HPU is a privilege on many levels. First, the diversity of our student body adds an eclectic mix of perspectives and experiences to our class discussions. In my opinion, this dynamic is not duplicated anywhere else in the Pacific Rim. Second, the faculty in the MAODC program also come from diverse backgrounds. Our faculty presents our curriculum from both the academic and practitioner-oriented viewpoints which allow students to gain the best from both worlds. Finally, our focus on project-based learning gives our students opportunities to work with local businesses and solve real issues facing those organizations. Our students practice what they will be doing in the consulting field.